This asparagus, leek and feta quiche is a beautiful spring quiche that is rich, crisp and perfectly balanced. 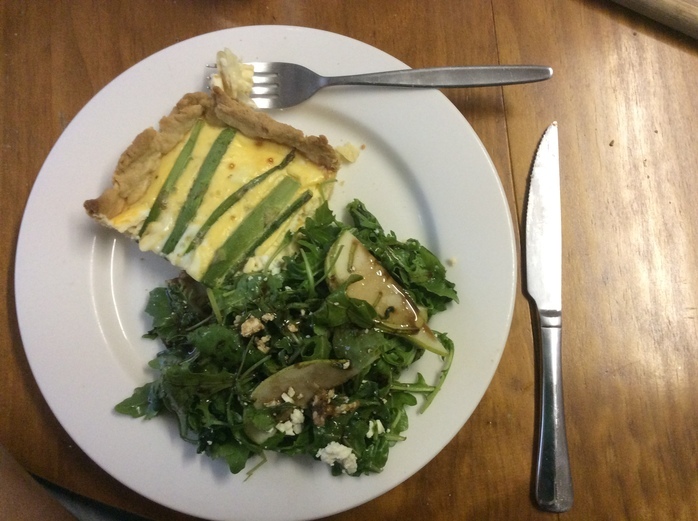 Enjoy with a light salad with the same feta for a perfectly matched dinner or lunch. 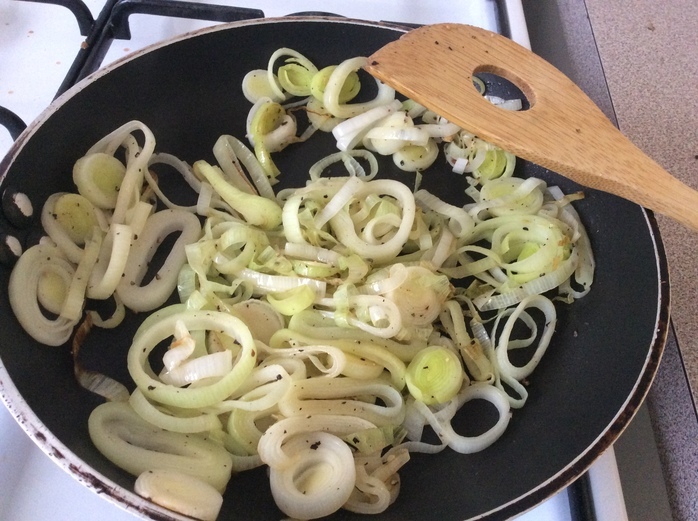 Wash the leek, slice thinly and add to a pan with the butter. Saute until the rings break apart and start to brown. 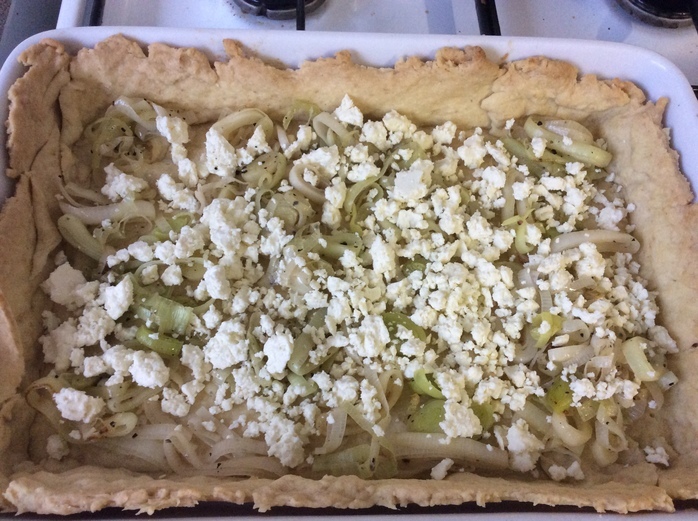 Scatter the leek and crumbled feta over the cooked Savory pastry base. Season with salt and pepper. In a jug beat the eggs and stir in the yogurt. Combine well and season. Gently pour the eggy mixture over the leeks and feta. 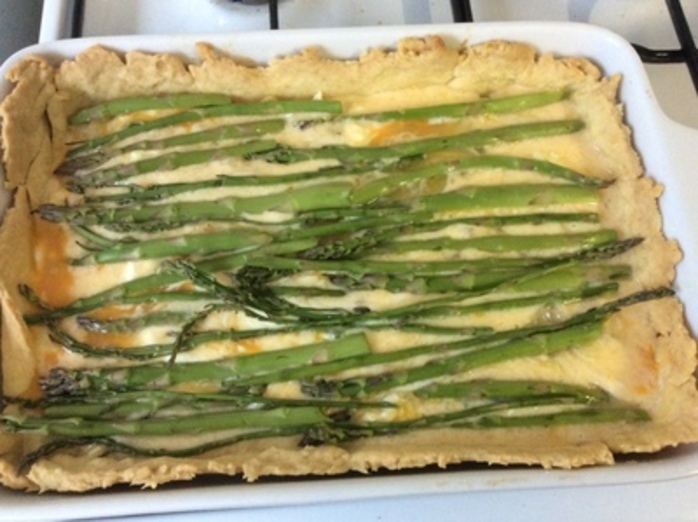 Wash and trim the asparagus and place on top of the eggy mixture. Put the tray in a 180C oven for 30 minutes checking and turning after 20 minutes. Slice and serve with a feta, walnut and rocket salad and an array of sauces. For another great quiche recipe try tomato and parsley!